As humans, we like to define ourselves by what’s around us. Our belongings, our friends, and our affiliations help us relate to contemporary culture. They also reveal the essence of who we are—or at least who we think we are. The “spirit animal” is one mechanism in which we label ourselves. 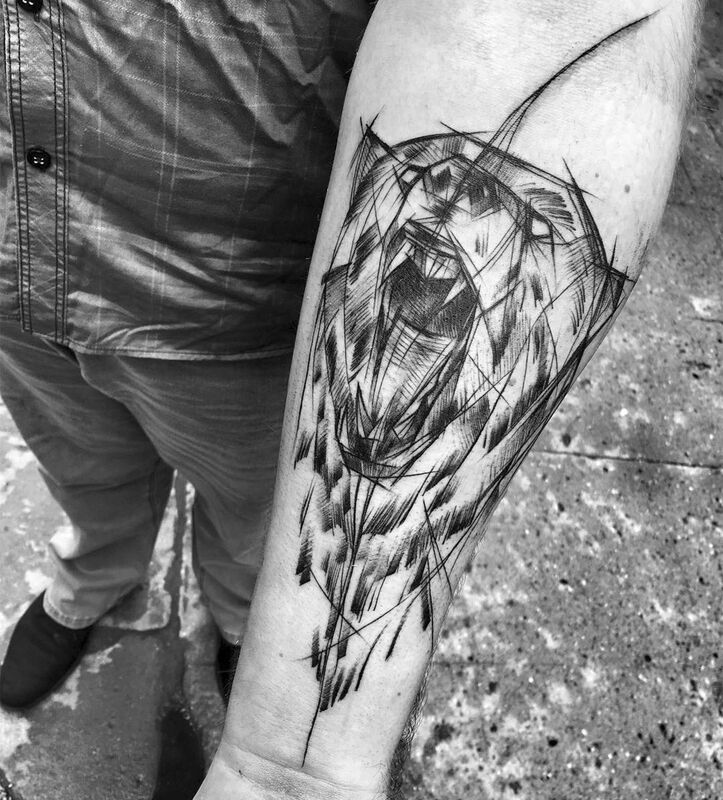 Whether we’re a tiger, bear, or giant eagle, there’s something about this connection that makes us feel empowered—like we are channeling the strength and grace of these creatures. Although “spirit animals” have been co-opted by the internet and reduced to memes, the term has roots in Native American spirituality. In this context, a person or clan picks an animal that guides and protect them. This goes beyond life and extends into death; when someone dies, their spirit is absorbed into the animal. Though there’s a lot of jokes about the “spirit animal” (for some, whiskey is their “spirit animal”), there are others who take this kinship with earthly creatures seriously. They might not give it the formal title, but through tattoos, the attributes of both predator and prey are constant reminders of their attributes. 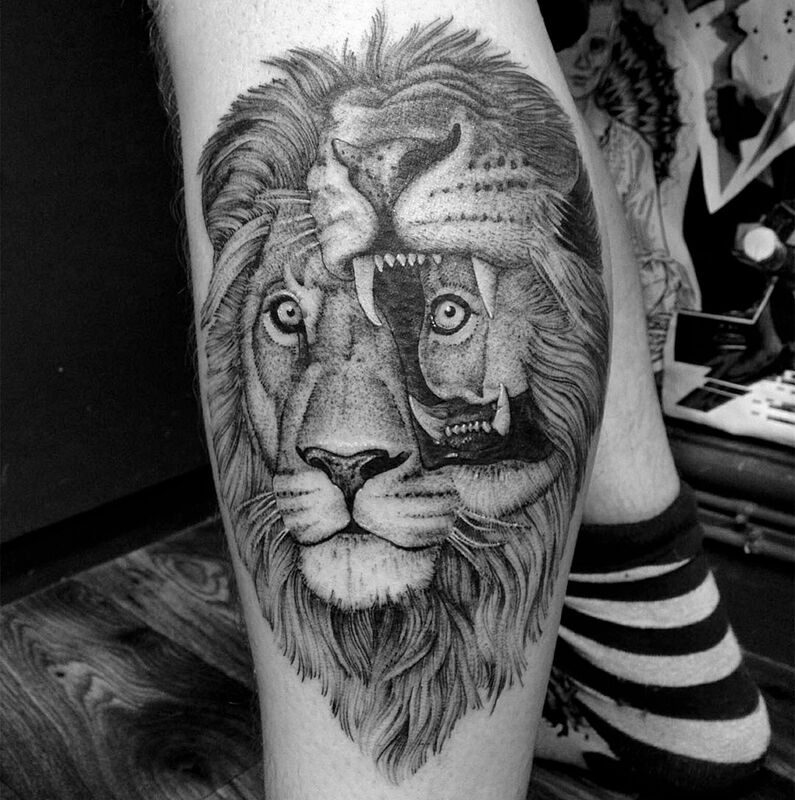 Above: Fredão Oliveira is currently a tattoo resident at the Inkonik Tattoo Studio in Belo Horizonte, Brazil. Mark Halbstark frequently travels to tattoo in other countries. He’s about to travel to Brighton, England. 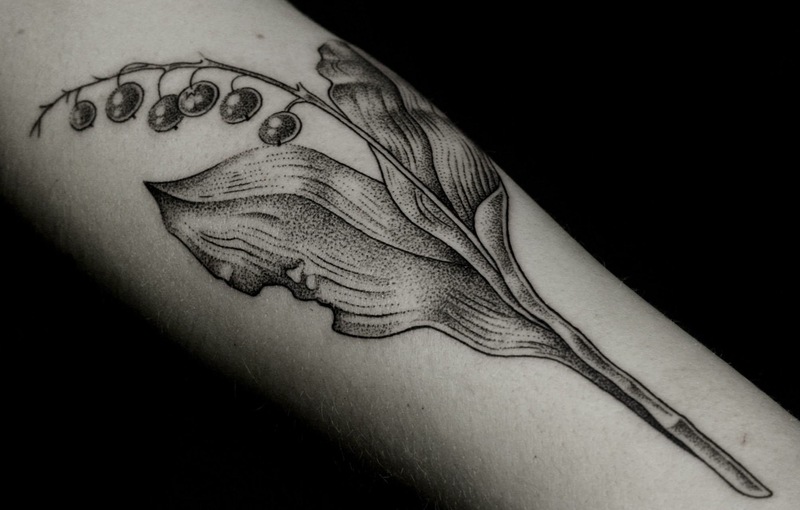 Mark Halbstark was trained as a graphic designer but felt a calling towards tattoos. 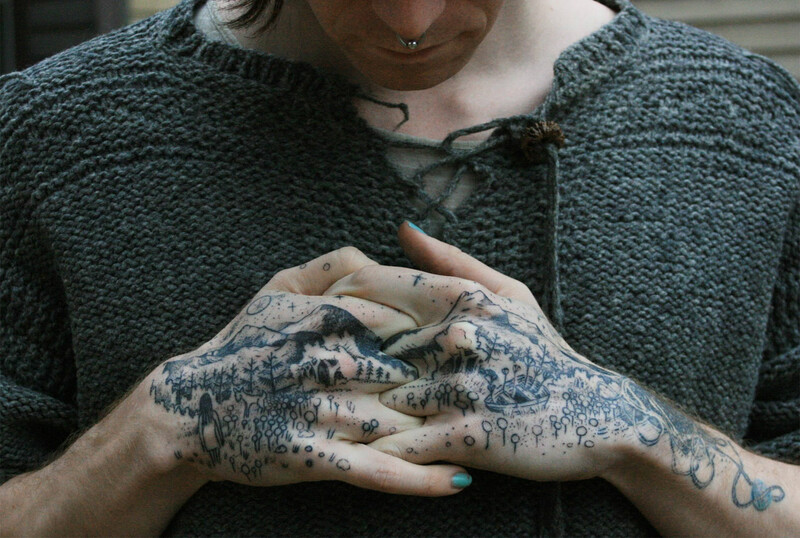 “I spent all my spare time drawing abstract tattoos,” he recalls. “My best friend gave me the money to get my first tattoo machine etc. and then I took off from there. I gave up graphic design and started tattooing.” And he won’t ink just anything. “Today, I would draw the line—in my opinion—with stupid ideas. With designs that just do not fit to my style. I also draw a clear line when it comes to the first tattoo somebody wants to have done.” So, if you’re looking to get a tattoo on your neck, hands, or face, you better have some ink already on you. Inez Janiack often lends her signature style to pop culture portraits, like comic-book superheroes. 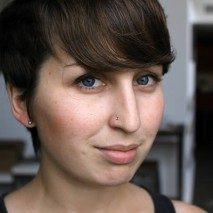 Known for her energetic sketch-style tattoos, Inez Janiack uses fractured lines and frenzied marks in her image making. Though they look abstracted and even jumbled, the varied lines are harmonious. Together, they capture the spirit of this bear as well as the other animals in her portfolio. 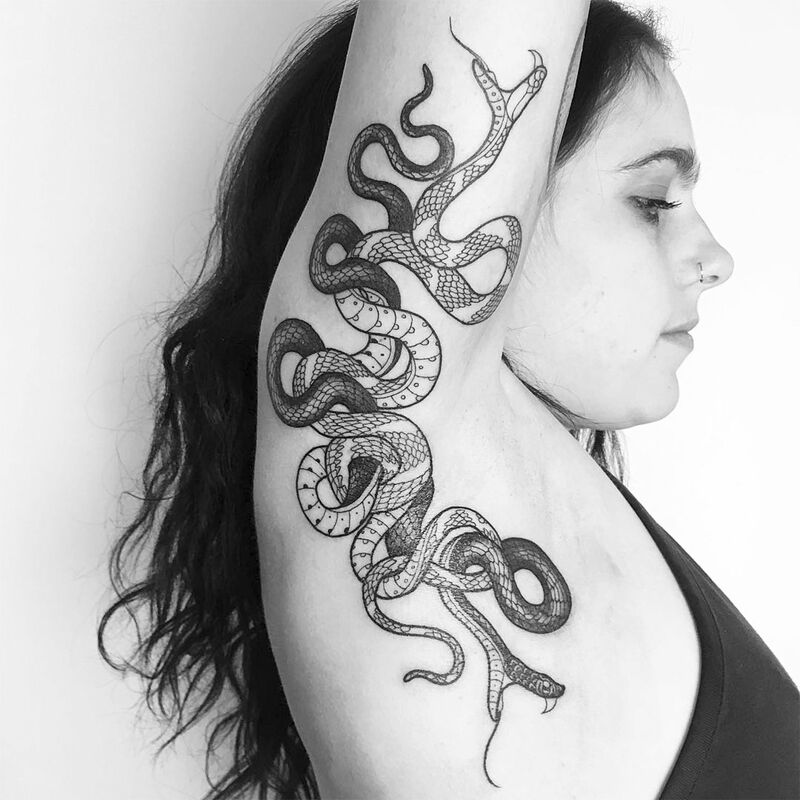 It’s these creatures that are some of her most successful pieces of body art—because we’re familiar with them, their jumbled anatomy reads as strength and power. 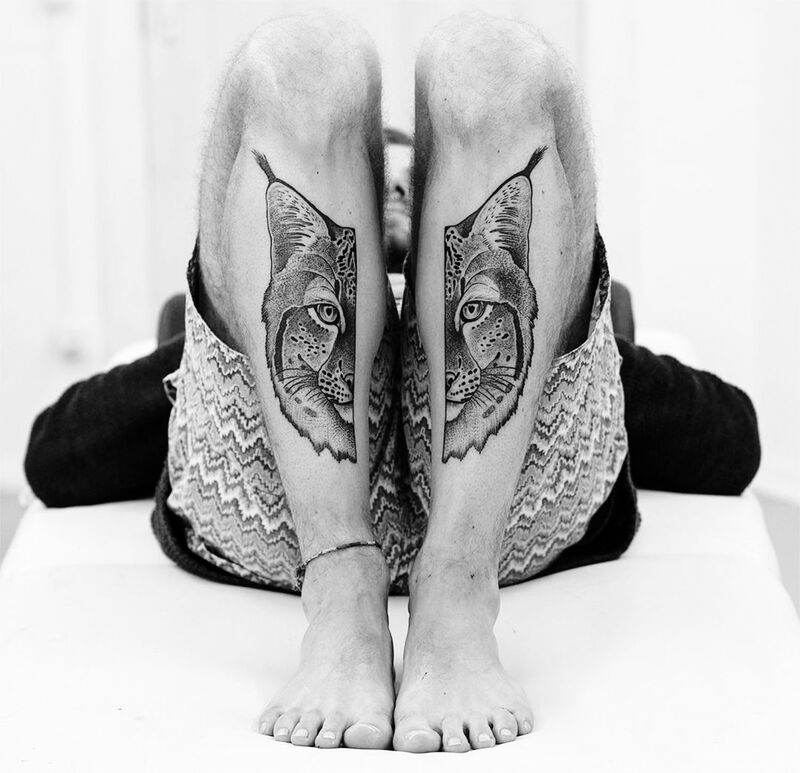 It took Fredão Oliveira 27 hours over the course of four days to complete this tattoo. 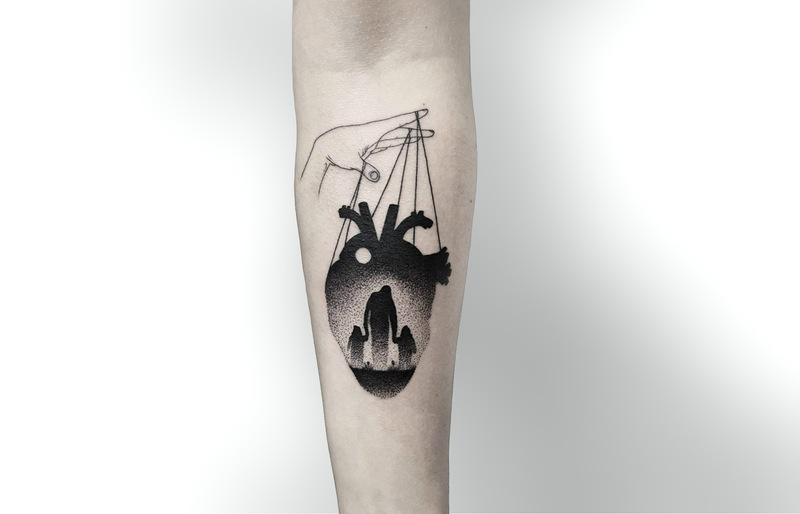 Based in Brazil, Fredão Oliveira’s tattoo reputation has only grown since I first featured him in 2016. And, it’s easy to see why. 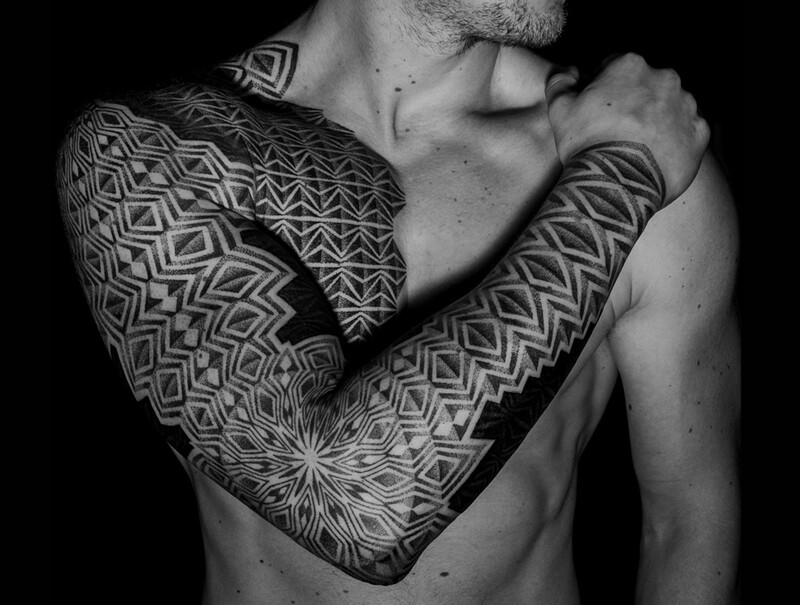 His bold blackwork style is sure to catch your eye with inky lines that look like they’re from the pages of a comic book. 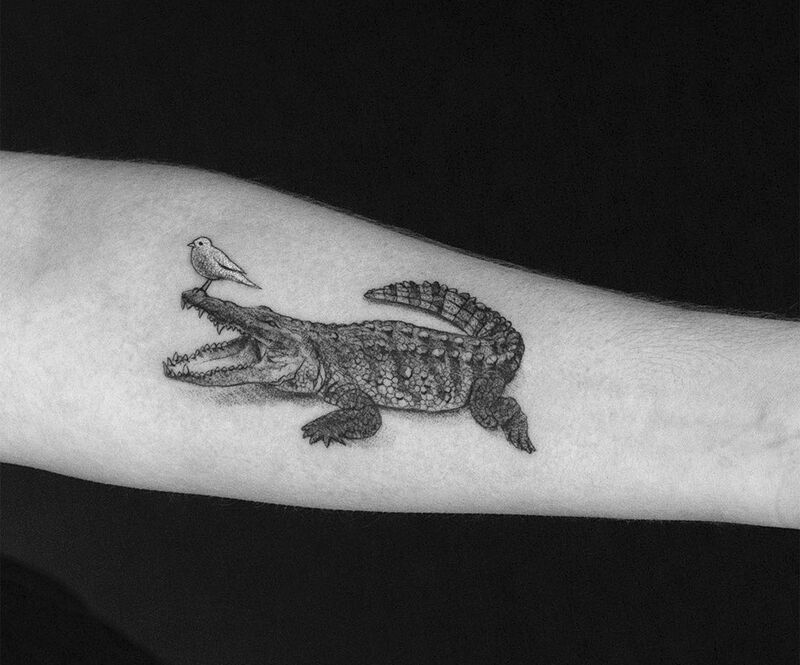 Oliveira regularly features animals in his work, and they’re often incorporated with symbols or other elements that tell a story on the skin. From Elvis to Medusa, they all get MaxAmos’ glitch treatment. MaxAmos infuses his work with magical realism. 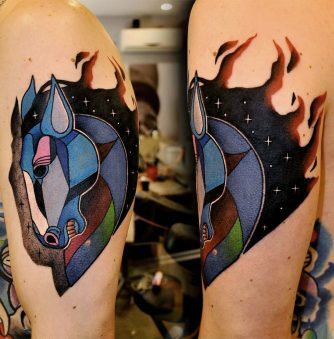 Although varied in artistic approach, the tattoos fuse two (or more) subjects into one that makes you do a double take. The glitch effect is a centerpiece of his work as a way to obscure his otherwise regular subjects. With this particular tattoo, he’s still using a glitch, albeit in a different form that what we normally see. Typically, his glitches are zigzag lines that run through a figure to distort its overall shape. Here, the placement is askew and creates the effect of a fun-house mirror. 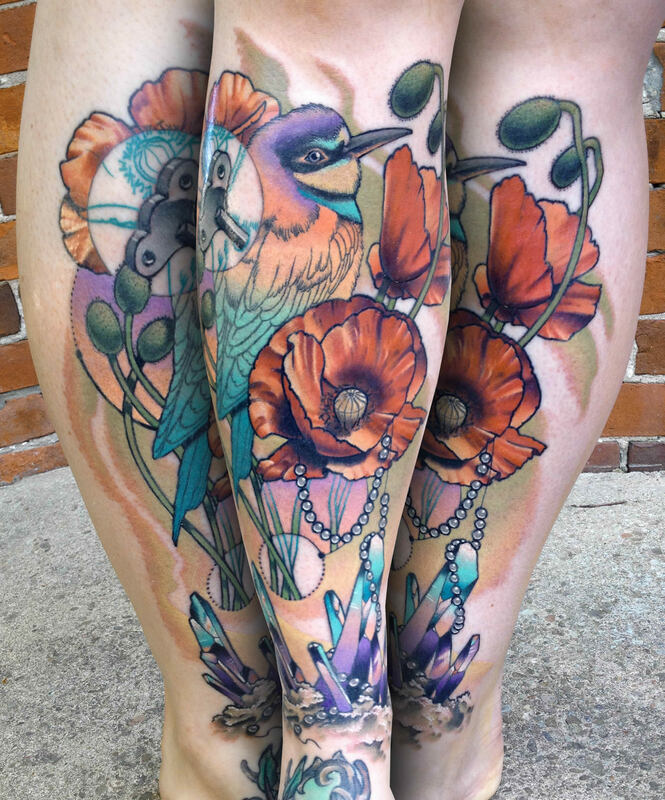 Namiko first became interested in tattooing at the age of 14. As she explains, she was “fascinated by how a drawing comes to life, alive and embodied, literally living on with the person, not just on the skin.” This is reflected in the style of her tattoos, which she calls a “a continuous evolution that straddles in-between a sketch and not a sketch, a drawing and not a drawing.” Namiko produces these pieces in a private workshop called Alchemink Ink that is appointment only. 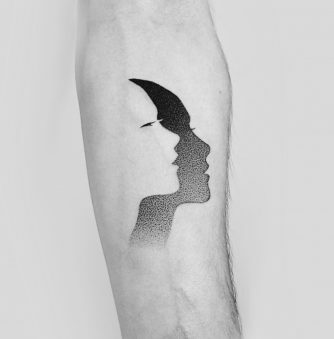 In addition to tattoos and a book, Valentin Hirsch sells prints inspired by his symmetrical work. Berlin-based artist Valentin Hirsch is known for his love of symmetry—so much so that he created a book about it. Aptly titled “Symmetries,” it details his artistic journey that begins on paper and now—most notably—includes skin. 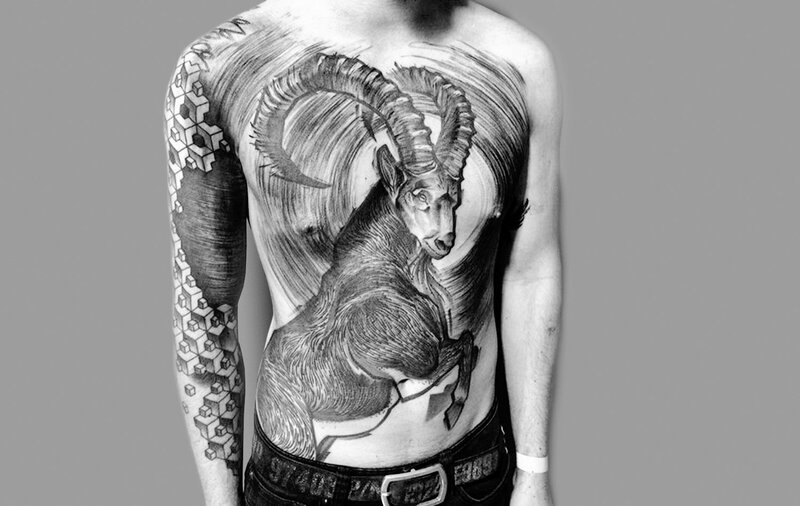 In side-by-side imagery, the effect is most compelling is tattoo diptychs like the one pictured here. The two halves are compelling enough to each stand on their own but are made stronger together. Some of Mirko Sata’s snake tattoos are created entirely in white ink. 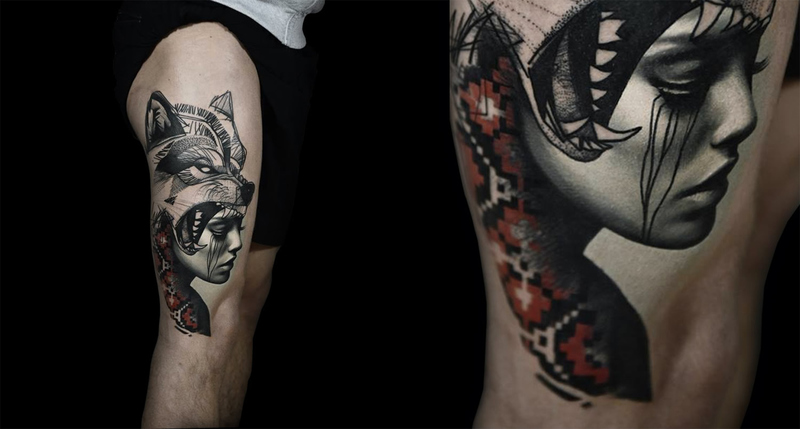 Look through Mirko Sata’s tattooing portfolio and you’ll see that snakes are his specialty. Nearly every one of the works involves their bodies that twist and wrap around one another. The slender forms are perfect for the type of tattoos that Sata regularly takes on—ones that follow the contours of the body and frame areas like the chest or elbow in interesting ways. 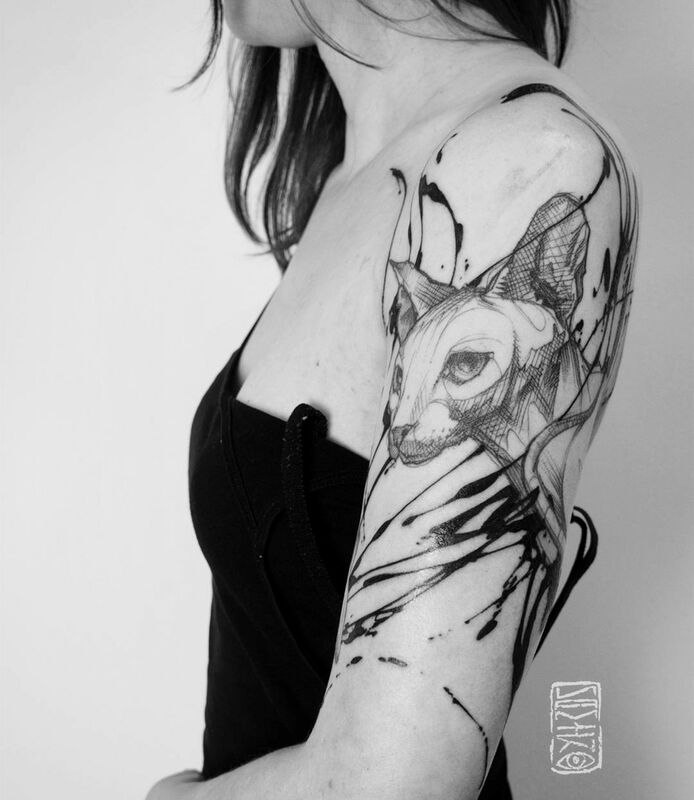 Kati Berinkey is currently working in Portugal but does guest tattooing throughout Europe. With splatters and gestural lines, the work of Kati Berinkey looks like a fountain-pen sketch. The effect works perfectly for this wolf—you can see the saliva spitting from its tongue. 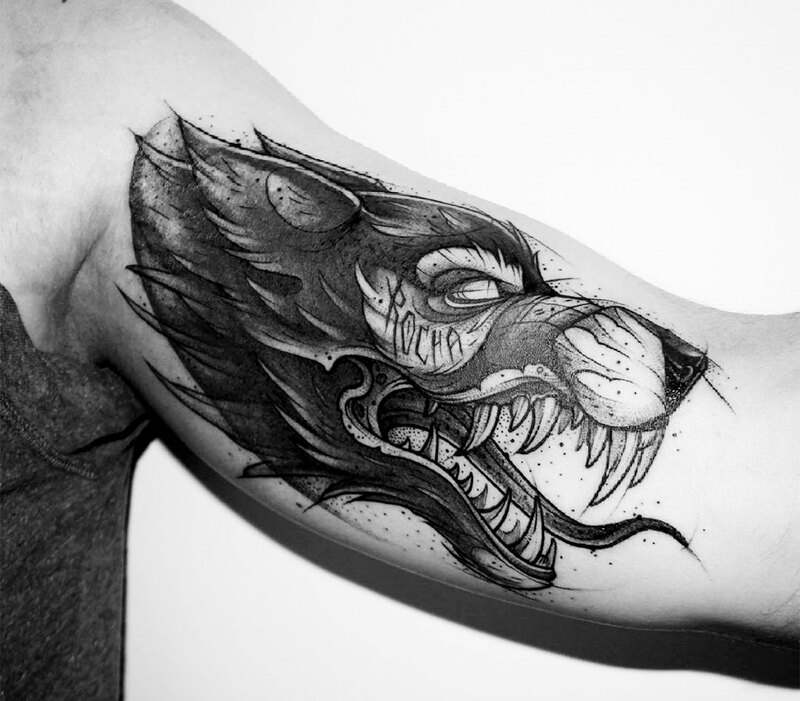 Done in black and grey ink, it adds a menacing feel to the tattoo. This limited color palette is a departure from Berinkey’s normally vibrant inks, but it showcases her adept relationship with greyscale, knowing when it best serves her subjects. 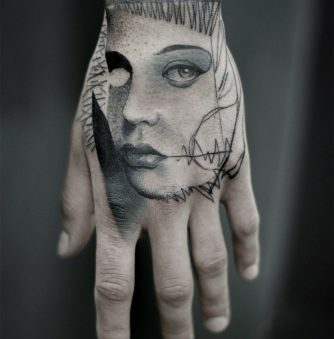 Cigla regularly works from photographs to produce portrait tattoos. 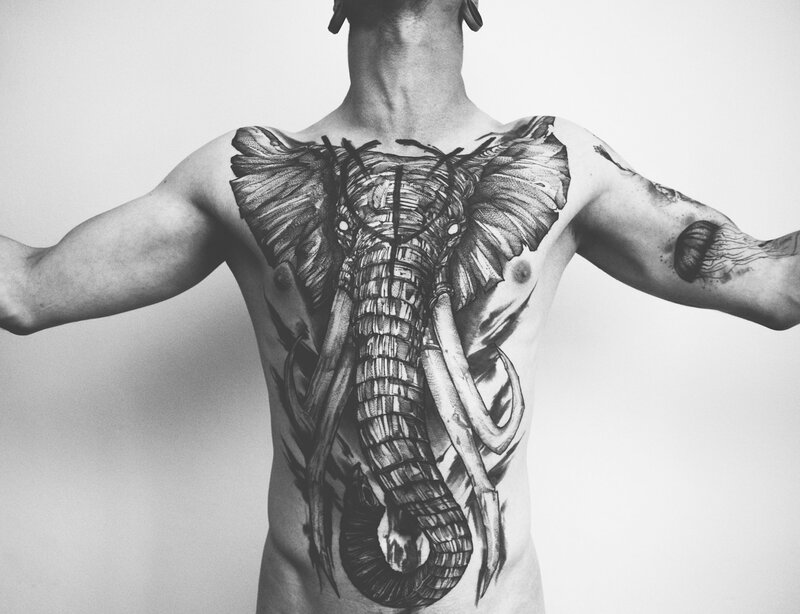 Cigla takes a photorealistic approach to tattooing, and he regularly inks large-scale pieces that engulf the entire body. 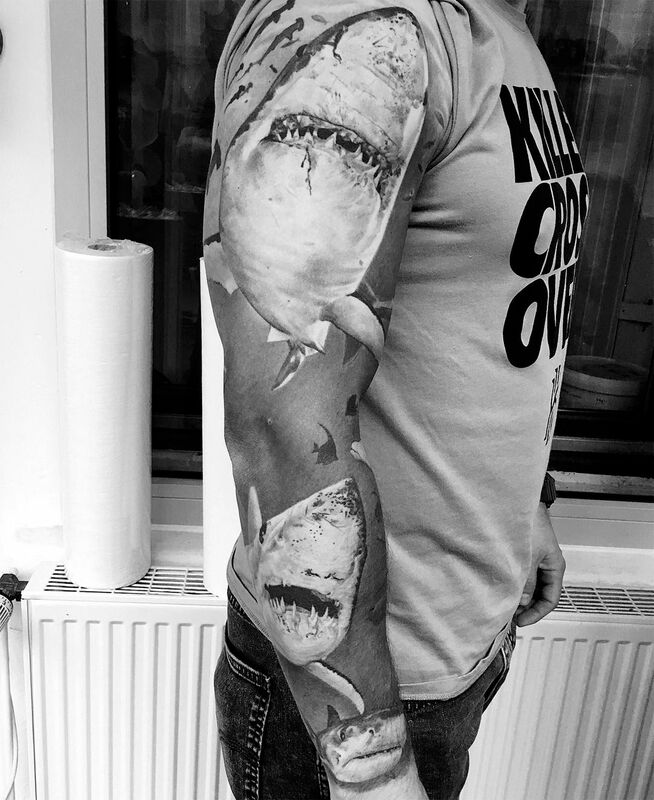 In this particular piece, the threatening sharks have taken over his client’s arm and turned it into a terrifying trip underwater. 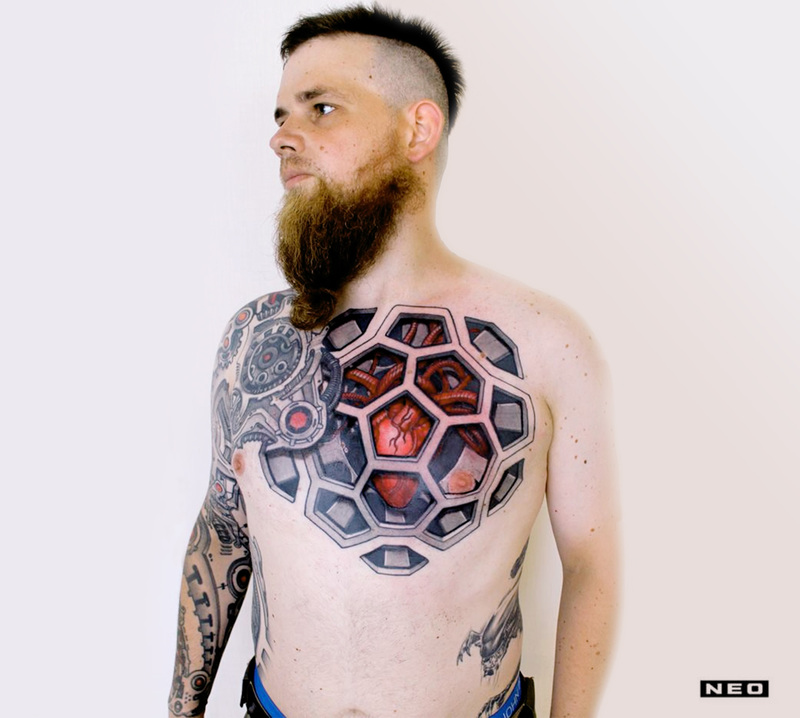 This masterful technique is the result of an intense love for tattooing—he first became interested in tattoos at 15 years old because of a friend. Now, he’s a full-time artist at Reinkarnation Tattoo in Cologne, Germany. Sven Rayen keeps shop at Studio Palmero in Antwerp, Belgium. Like many tattoo artists, Sven Rayen began his career as a graphic designer and illustrator. He’s still active in that world, but shifted his focus in 2009 to begin tattooing. Since then, it seems like body art has taken over his creative life—he’s fully booked until July 2017. Rayen produces delicate works that are like pieces of a story. Although devoid of context, we can’t help but fill in the blanks that his work has left.